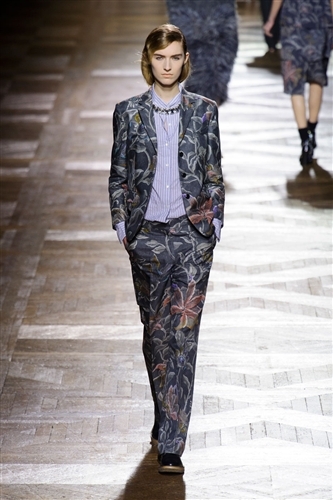 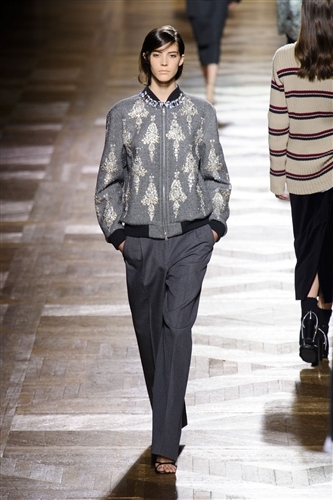 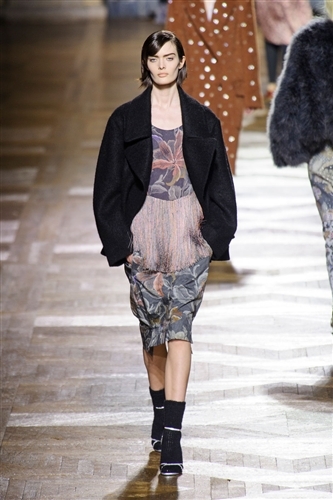 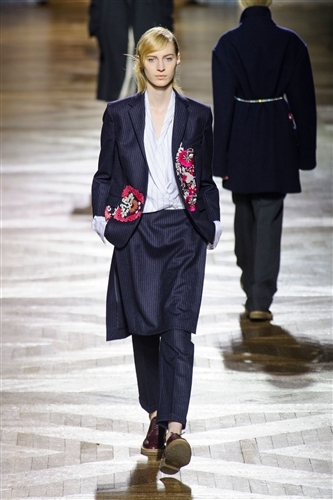 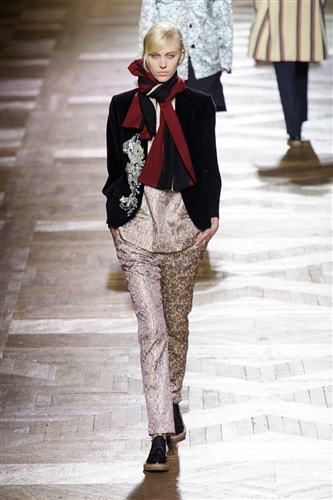 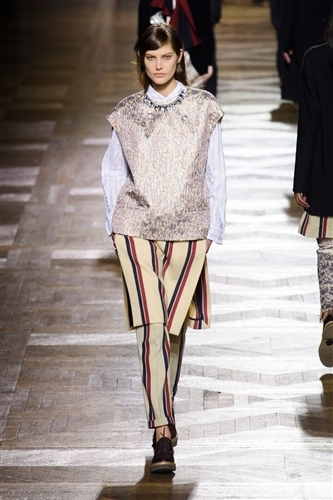 Dries Van Noten has steadily built a reputation for being an eccentric designer; as such his collections always come as a bit of a surprise, all be it a good one. 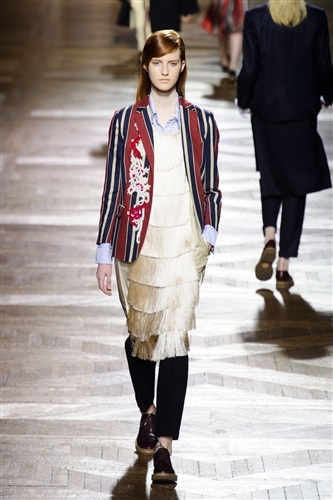 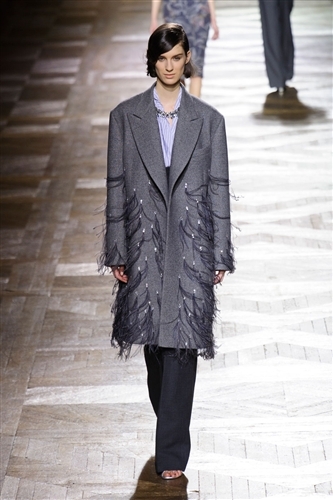 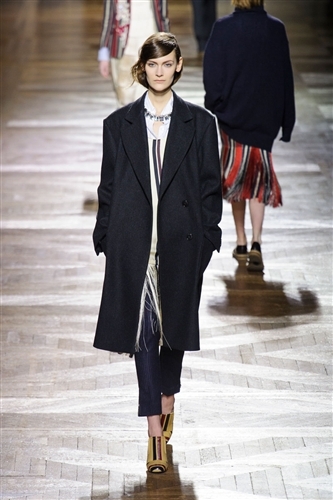 This season Dries lived up to his reputation as he contrasted masculine and feminine styles, mixing schoolboy blazers with overtly feminine fringing and feathers. 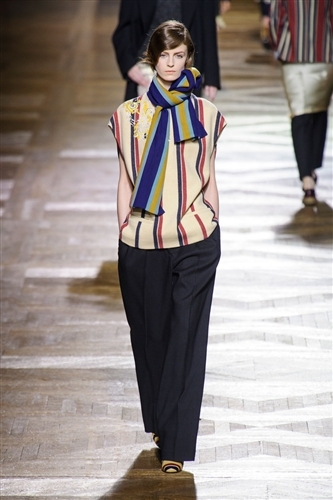 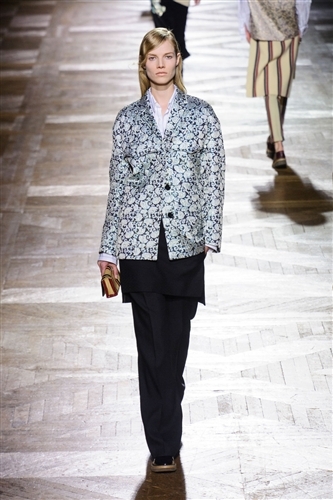 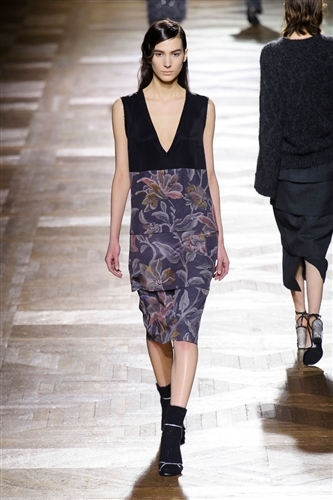 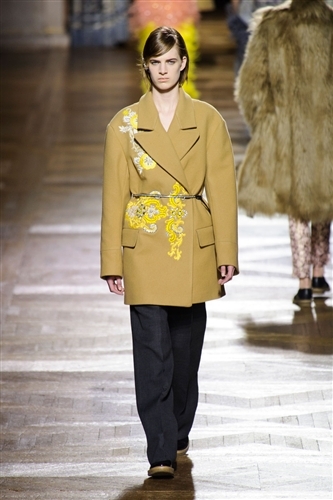 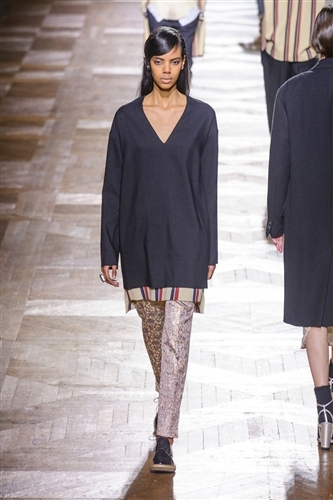 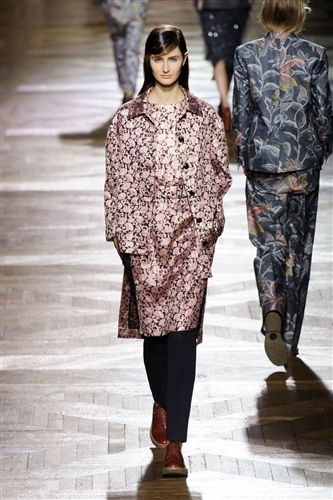 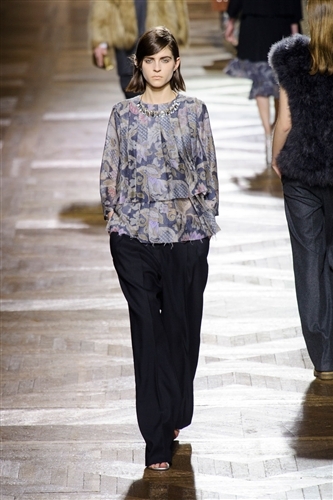 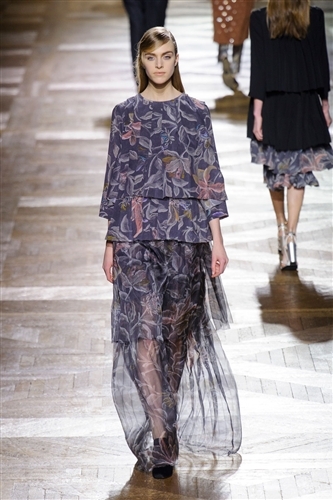 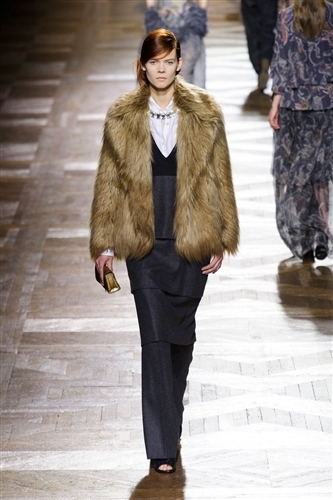 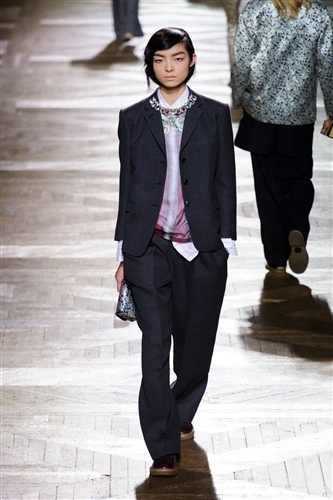 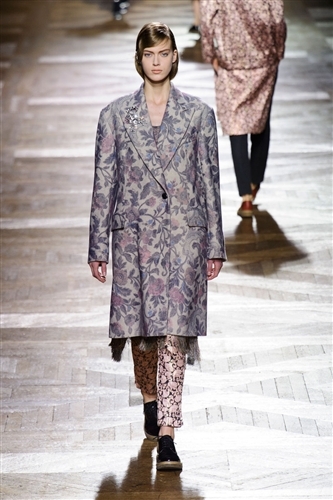 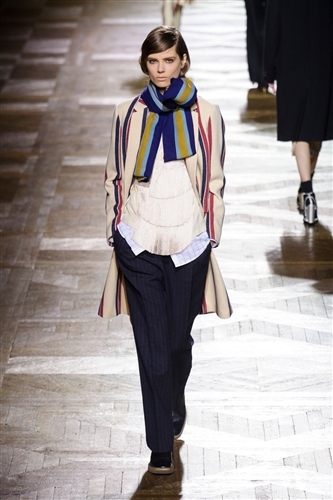 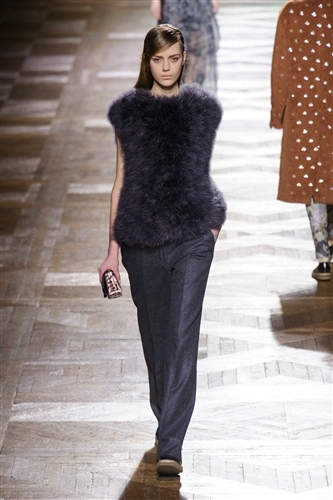 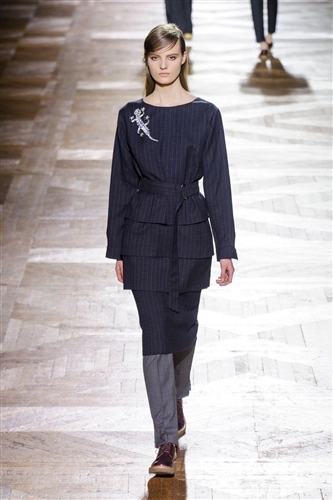 Another statement twist from Dries was the focus on yellow, it really was the colour of the season for this label. 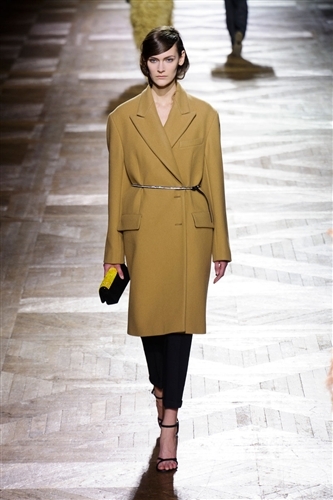 The stark bright was used on everything from coats to feather trousers. 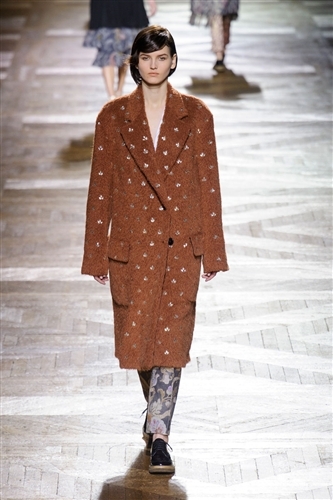 The recent Chinese New Year also seemed to impact Dries’s design direction as Year of the Snake embellishments appeared throughout the collection.